Is obtaining health insurance a time consuming and complicated process? It doesn’t have to be!  At BIA we have well-trained team members and streamlined processes to inform you of your options and get you enrolled quickly and easily on a plan that fits your needs. Being sick doesn’t keep you from getting coverage. An insurance company can’t turn you down or charge you more because of your condition. All insurance plans are offered by private insurance companies. They decide which plans to offer and how much each one cost. Costs vary by county, age, and other variables. When you use the Marketplace to compare plans, you’ll see prices for all plans available to you. Prices show any cost savings you may be eligible for based on your income. These lower costs are available only in the Marketplace. Every product line is different but most have an Open Enrollment Period by which you can sign up or change plans. If you miss this window you may have to wait until the next period to get coverage; however, we still have options. What’s the difference between Marketplace plans and other private plans? No matter how you buy your health insurance — through the Marketplace, directly from an insurance company, or with the help of an agent or broker — all plans for individuals and small groups must cover the same set of essential health benefits. They include doctor visits, hospital stays, preventive services, prescription drugs, mental health and other categories of coverage. Plans will not be able to charge you more or refuse to cover you if you have a pre-existing condition. Most plans must also offer the consumer rights and protections provided under the health care law. How do I determine my income? Other kinds of income to include when estimating your income are retirement income, investment income, pension income, rental income and other taxable income such as prizes, awards and gambling winnings. You should not include the following when estimating your income: child support, gifts, Social Security insurance (SSI), veterans’ disability payments, workers’ compensation and proceeds from loans (such as student loans, home equity loans or bank loans).